One of the first things I wanted to share were some thoughts about my own Filipino culture. I’m very proud and respectful of where I came from. Filipinos are just warm hearted, happy, and down to earth type of people. This is very evident if you’re ever invited to a Filipino gathering; where you will no doubt experience everyone trying to feed you endless amounts of delicious food!! Instead of just describing in length some of the staple Filipino foods, here are some photo’s to make your mouth water a little as well. 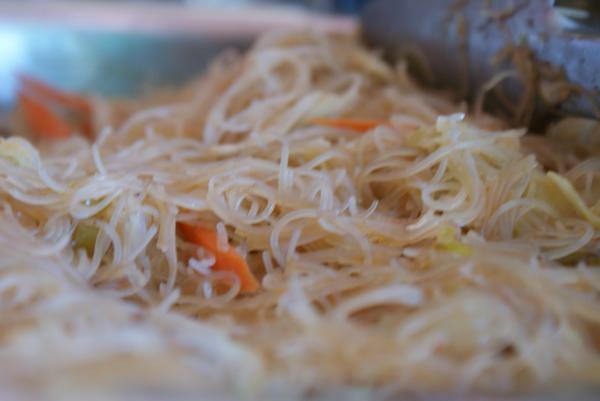 Pancit: A staple noodle dish from the Philippines. The one pictured below is what my family normally makes, but there are a lot of variations to this. Different types of noodles, sauces, and ingredients really makes this versatile. 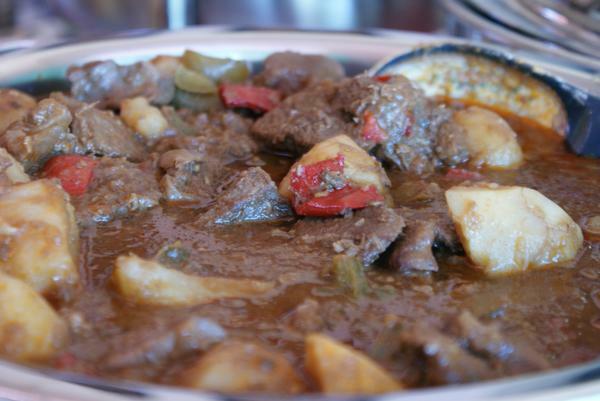 Beef Caldareta: A mouth watering plate of goodness. One of my favorite dishes. People can use different types of meat in it [chicken or pork] but this dish below is with beef. Beef stewed in tomatoes with spices, potatoes, onion, bell pepper, and carrots. Turon: This is made with sliced bananas and a slice of jackfruit. It’s dusted with brown sugar, rolled in a spring roll wrapper and then fried. A sweet & delicious dessert. So the next time you ever pass by a Filipino restaurant, bakery, or get invited to a party I hope you’ll be adventurous & try something new. Your taste buds just might thank you for it. In the filipino culture we do actually have something similar to a springroll. 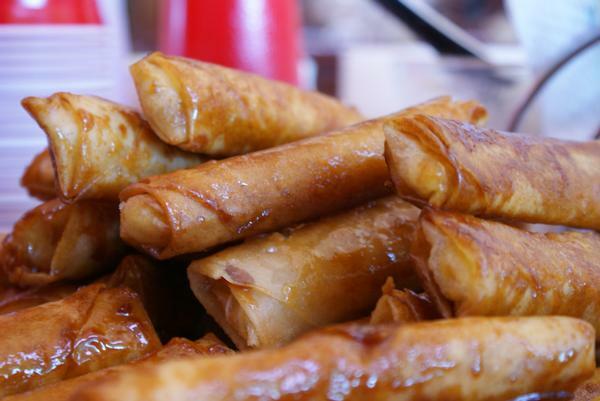 We call it lumpia, and it can be fried or fresh. The fried version is always a big hit for everyone! Oh gosh. This makes me so hungry. I love turon! The best talaga. Ang sarap! Hopefully you have some place where you can get your hands on these Arriacross. I just ate some a couple of days ago. Sarap!